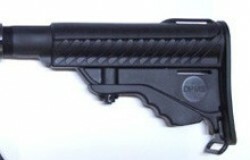 Make your shooting experience more enjoyable with the addition of an innovative new buttstock design from DPMS! Made of a space age, lightweight, fiber reinforced Zytel. COMES WITH BUFFER AND SPRING!